If you still connect your online storefront to the Amazon marketplace manually, we have some good news: there is a reliable connector that saves tons of time and effort. Meet the Boost my Shop Amazon Magento 2 extension – a revolutionary tool that allows to connect the desired sales channel to your primary ecommerce website. 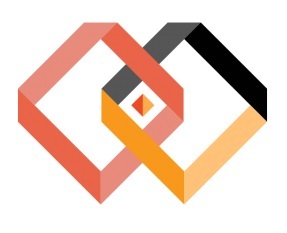 The module is fully integrated with both Magento 2 and Amazon, so you can connect the storefront to the marketplace worldwide. Also note that the Boost my Shop Amazon Magento 2 extension allows to connect multiple accounts and provides real time synchronization for both orders and products. Below, we describe this and other features in more details. Boost my Shop offers the easiest way to sell on Amazon using a Magento 2 website only. The idea to eliminate the necessity to manage several account and backend interfaces combining everything under the interface of one module is brilliant. Why should you do the same things twice? With the Boost my Shop Amazon Magento 2 module, it’s no longer necessary. Simply install the extension and get the full control over your Amazon accounts right in the Magento 2 backend. Either third-party platforms, or monthly fees won’t be used or charged. Since the Boost my Shop Amazon Magento 2 module is open source, it offers wide opportunities when it comes to customization options. 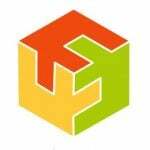 Due to high configurability, the tool can be easily adapted to the most strict ecommerce requirements. As for the multiple Amazon accounts support, the Magento 2 module allows to fully leverage Amazon Power Seller, so different accounts will be connected to the same extension under one Magento 2 backend. Another vital feature is UPC / EAN product code support. 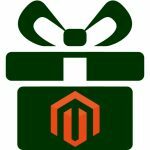 It allows to match all products from your Magento 2 store with ones available in your Amazon account automatically. Consequently, there is no need to spend time on listing products on Amazon, since the extension does everything without your intervention. And note that the Boost my Shop Amazon Magento 2 extension will soon be able to export categories, products, and attributes created in Magento 2 to Amazon! 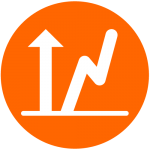 As for stock and prices, they are constantly updates after you install and activate the module. Also note that Boost my Shop allows you to sell on Magento 2 Amazon using different prices. The extension is extremely flexible, so it doesn’t put restrictions on such key aspect as prices. Now, it is necessary to shed light on what happens with orders. As soon as it is placed on Amazon, the corresponding data is sent to Magento 2. Next, you do all the common procedures and when the shipment is confirmed, the Boost my Shop Amazon Magento 2 module sends tracking data back to Amazon. The first thing you should do after installing the extension is to create a new account. The Boost my Shop Amazon Magento 2 extension provides a very intuitive interface, so it’s not a big deal. Simply click the “Create New Account” button under Amazon -> Accounts. Under the General tab, specify account name and enable it. Next, the Boost my Shop Amazon Magento 2 module requires to enter such parameters as Merchant ID, Access KEy ID, and Secret Key. All these credentials are available on developer.amazonservices.com. Next, it is necessary to configure settings for each Amazon account. First of all, select an attribute that will be used as a product reference (in most cases, it is SKU) and then choose a store view to synchronize the Amazon account with. 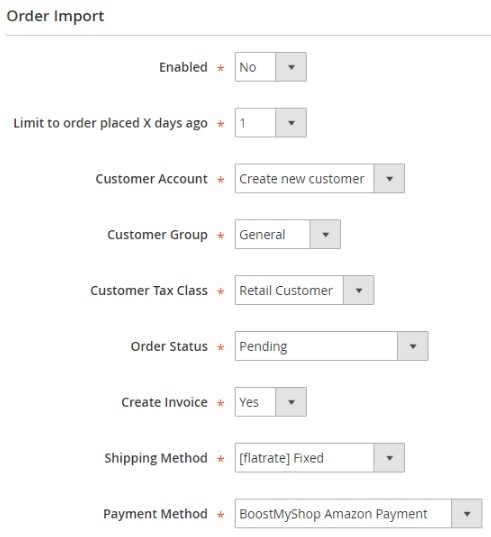 Then, enable order import from Magento cron, set a limit on days range for the import, decide whether to handle orders as guest orders or create user accounts, specify a customer group used for the import, select a tax class, choose status for imported orders (and enable invoice generation), allow invoice generation, and select shipment and payment methods. In Shipment Confirmation, you enable/disable shipment confirmation from the Magento 2 backend. 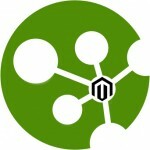 As for the Product section, it allows to specify Magento attribute used for a product barcode. 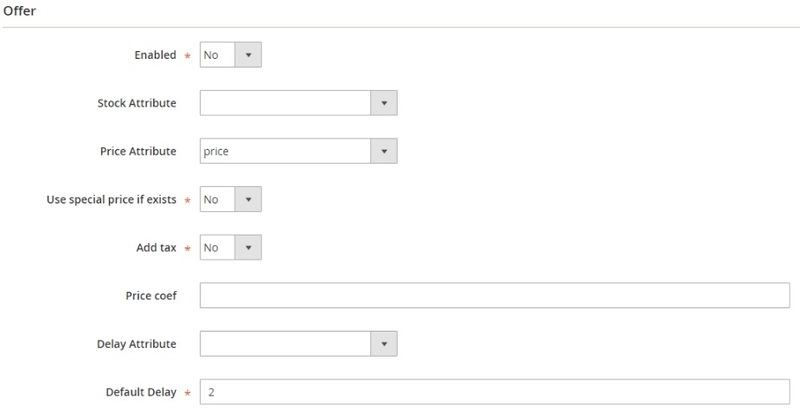 The Offer section allows to enable/disable stock and price export from Magento 2 cron, select stock and price attributes that will be used in export, use special prices if they exist, apply tax and price coefficient before export, as well as select a delay attribute and specify a default delay. You can synchronize Magento 2 products with Amazon under Amazon -> Products. All the necessary items are available in a grid. There is a dropdown list with available accounts on the left. Select one you want to sync products with and hit the “Sync Listing” button on the right. Note that you can download orders manually under Amazon -> Orders – just hit the “Check New Orders” button. By default, orders are synced automatically every 20 minutes (the same is about shipping confirmation). Another useful element of the Boost my Shop Amazon Magento 2 module is available under Amazon -> Dashboard. Here, you can view various stats related to all configured accounts. If you need data related to a specific country, apply a filter. As for available information, it is divided into 4 sections: Sales (by day, week, and month), orders (last imported at, last check, and shipment to confirm), Products (listed and in error), and Errors (various errors).